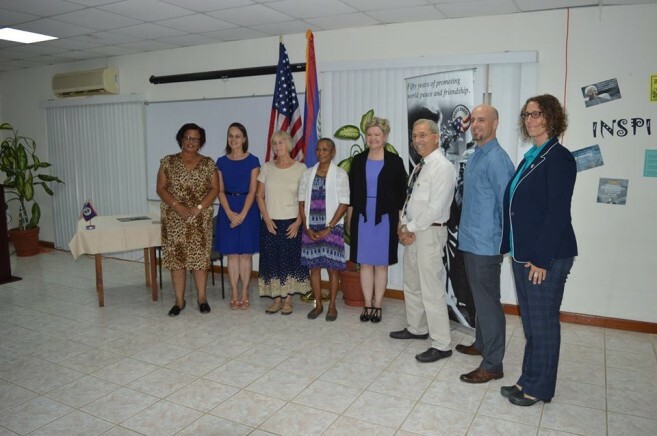 Belmopan—Friday, June 2, four new Peace Corps Response Volunteers were sworn in as Literacy Intervention Specialists to officially begin their close collaboration with the Ministry of Education, Youth, Sports, and Culture in furthering the Ministry’s literacy goals. 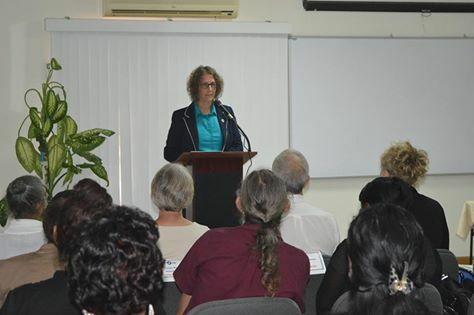 The Swearing In ceremony was held at the Peace Corps office in Belmopan with Ministry officials, members of the Diplomatic Corps, Peace Corps staff, host families and Response Volunteers in attendance. 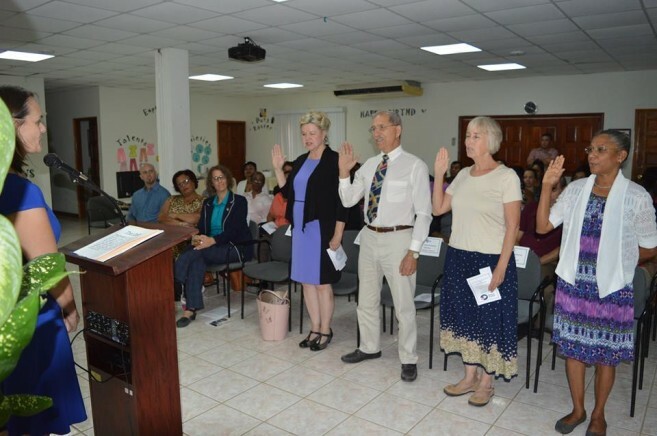 Chargé d'Affaires of the United States Mission, Adrienne Galanek, administered the Oath, as these four Volunteers officially joined the ranks of more than 2,000 Peace Corps Volunteers who have served in Belize since 1962. Over the next six months, these Volunteers will work in close collaboration with the Ministry of Education to further its nationwide literacy initiative. Together these four Volunteers bring over 100 years of collective education and literacy experience to Peace Corps Belize in support of the Ministry of Education’s efforts. “Great things can happen through connecting talent such as that of these Volunteers and their Ministry counterparts, with the opportunity that exists in the literacy sector”, said Greg Macdonald, Peace Corps Director of Programming and Training. The addition of a literacy focus to Peace Corps’ current rural health programming ensures a complementary strategy to assist Belize in meeting its most pressing development goals in both the health and education sectors. Chief Education Officer, Dr. Carol Babb highlighted the milestone event: “This collaboration represents the culmination of more than two years of planning and preparation”. 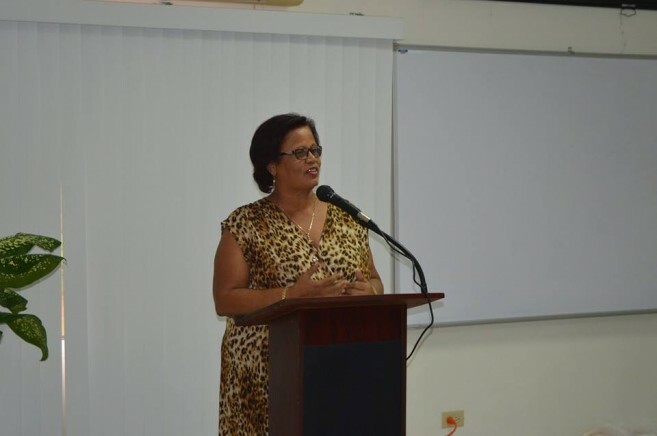 Dr. Babb, a passionate proponent of literacy, noted during her keynote address that, “there are four keys to the future of Belize’s children: reading, learning, doing and achieving.” Dr. Babb has long advocated for and worked towards literacy-focused early childhood education, directly addressing literacy challenges during her tenure as an educator, principal and manager at the Queen’s Square Anglican schools and as the Deputy Chief Education Officer and Chief Education Officer at the Ministry of Education. “We must set our children up for success. Literacy – the ability to read and write – is the foundation of that success,” she went on to note. 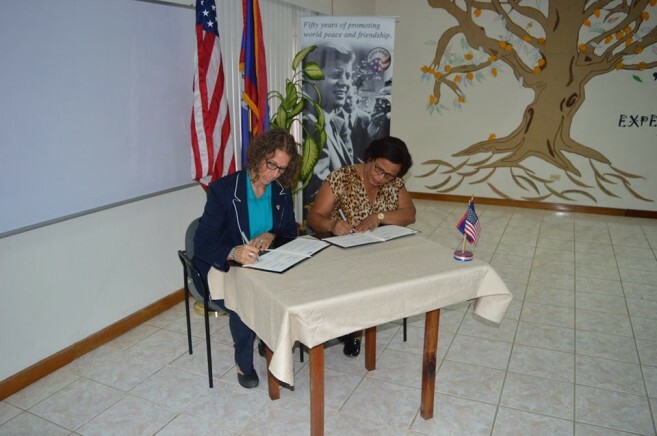 The Swearing In ceremony also included an historic signing of a new Memorandum of Understanding (MOU) between the Ministry of Education and Peace Corps Belize. Chief Education Officer, Dr. Carol Babb, and Peace Corps Director, Melanie Emerson, signed the Memorandum officially launching this expanded mutual commitment to education and early childhood literacy in Belize. This expanded collaboration allows Peace Corps to recruit and place highly qualified literacy specialists to meet specific technical requests and needs of the Ministry. Camp GLOW 2015 – inspiring our new leaders!